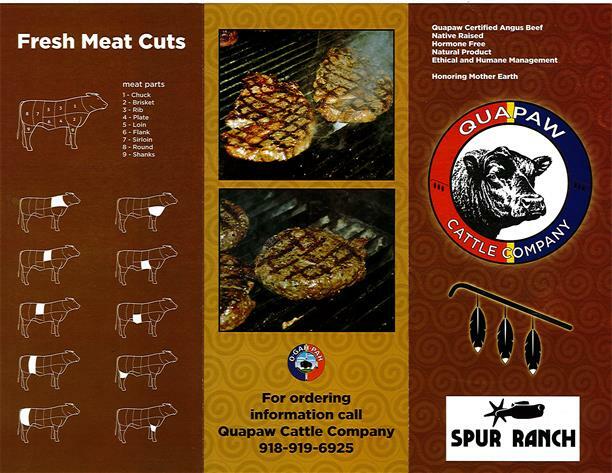 Quapaw Cattle Company is committed to providing high quality, hormone-free beef. We use safe and humane practices in raising and handling our animals. Quapaw Cattle Company is proud to offer Choice, Choice Plus, and Prime Beef. We also raise grass fed, grain finished beef. All of our beef products are hormone-free and natural with no added chemicals or colorings. 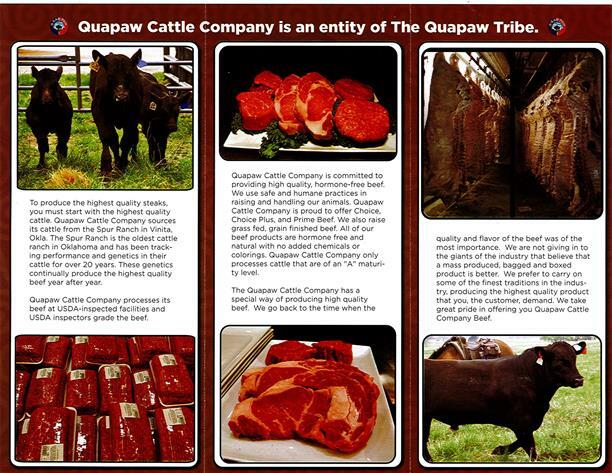 Quapaw Cattle Company only processes cattle that are of an "A" maturity level. The phone number listed is incorrect. The new phone number is 918-238-3099.